Sweden's Heavydeath have returned with a new recording which continues the doom/death metal style of previous releases and this is a review of their 2017 album "Sarcophagus In The Sky" which was released by Aftermath Music. Most of the tracks a re very long and epic in length while screams can also be heard briefly along with the music being rooted in the 90's but also maintaining a very modern vibe as well as all of the musical instruments having a very powerful sound to them and all of the songs stick to either a slow or mid tempo style. In my opinion this is another great sounding recording from Heavydeath and if you are a fan of doom/death metal, you should check out this album. 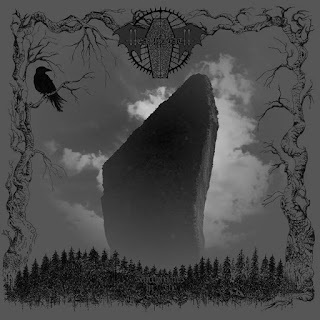 RECOMMENDED TRACKS INCLUDE "The Stone Speaks At Winter" "Sarcophagus In The Sky" and "The Entity". 8 out of 10.